Commands & Colors: Napoleonics allows you to re-fight epic battles of the Napoleonic era. 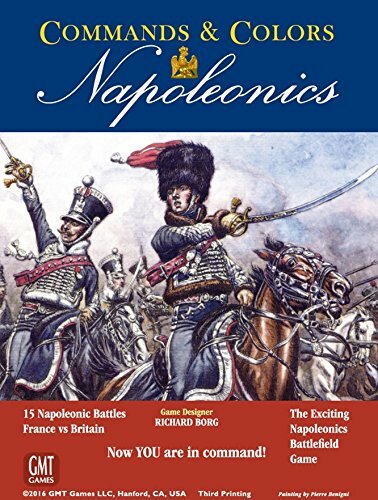 In this core volume, the focus is on the French and the British, two bitter rivals in the struggle for European pre-eminence during the time of Napoleon. Great 2-player strategy game with a historical theme.